Your options from the airport to downtown are limited to bus, taxi or Uber. A fixed fare taxi from the airport to downtown is $55. Uber collects at Door 10 outside of the arrivals level. There is no Lyft, sorry! 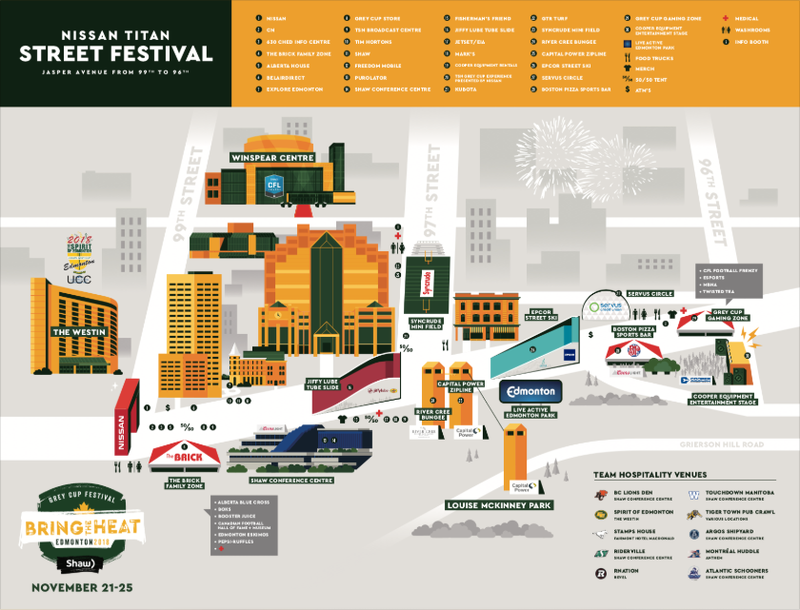 The Grey Cup Committee seems to have finally read the memo this year because all the parties appear to be within stumbling distance of each other! You just need to get yourself out of bed and to Grey Cup central! Your Grey Cup ticket gets you free public transit on game day! Says so right here! Show your ticket and get a free ride on the LRT or bus to Commonwealth starting from 11am until two hours after the final whistle. Always keep one eye open in the lobby. Players coming and going from hotels as you walk by. Roped off VIP areas in the parties. Many players are invited in free but sometimes are the only people inside, longing for interesting people like you to reminisce with. 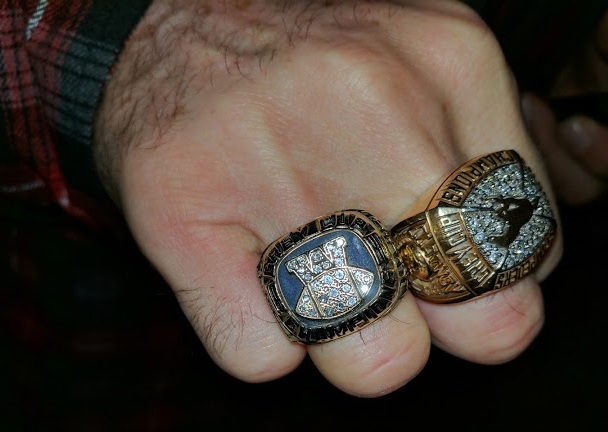 Grey Cup rings on the fingers of the guy beside you. The owners always let you try them on. Linemen at all you can eat restaurants. I ran into the entire Bomber O-line in Vancouver at 99. Retired players walking home from the Spirit of Edmonton after close. This seems to happen to me every year. Official signings at the Street Festival. QBs making out with women that aren’t their wives (true story — ask me). Alberta figured it out over 20 years ago and as a result you can buy booze or beer from any one of the plethora of private establishments until 2am! All you need is Google Maps (and ID)! Back to The Hoser’s Guide to the 106th Grey Cup. 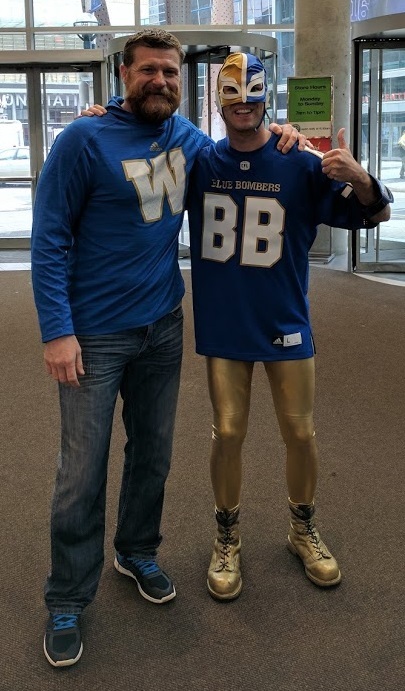 November 19, 2018 in Grey Cup.